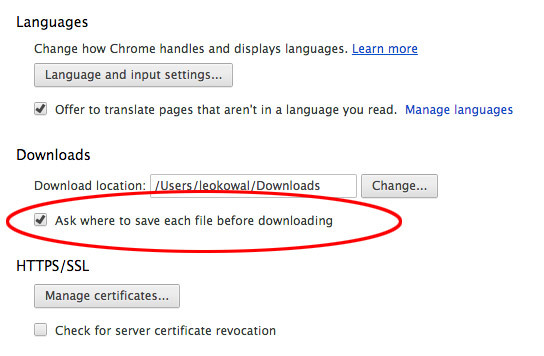 By default, Google Chrome, Safari and Firefox will put anything you download into your account's Downloads folder. (/Users/YourAccountName/Downloads). 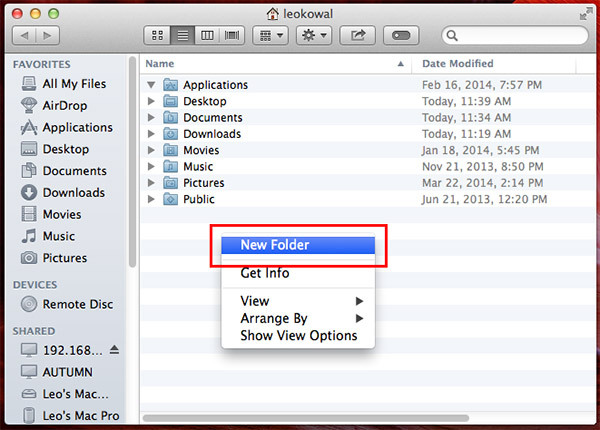 Method 1: In recent versions of Mac OSX, the downloads folder can be accessed from the Dock. 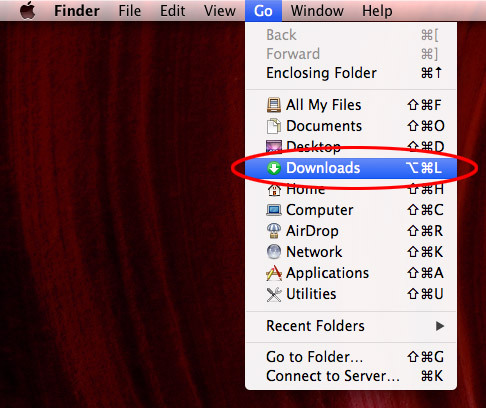 Method 2: From the Finder, click Go from the menu bar and select Downloads. If you don't see a Downloads option under the Go menu, click Home. 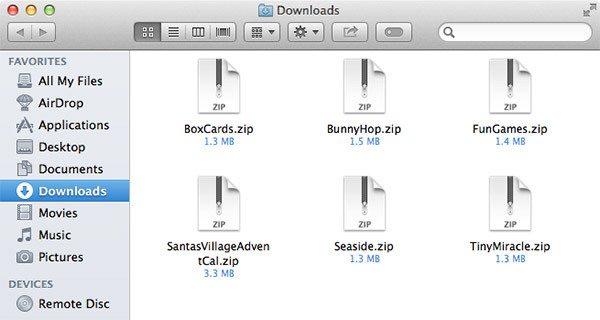 The downloads folder should also be visible in your Home folder. You can leave your files in the Downloads folder, but it's just going to keep growing and growing and getting filled with EVERYTHING you download which will make it difficult for you to find what you're looking. We recommend that you create a new folder (you can call it anything you'd like, Example: Jan's SVG Collection) specifically for your SVG files and put all of your SVG downloads into your dedicated SVG folder. The optimal way to keep your SVGCuts files organized is to create a new folder and save all of your downloads to this newly created folder! 1. From the Finder (this is another term for your desktop, it should say Finder next to the Apple icon on the top left side of your screen. 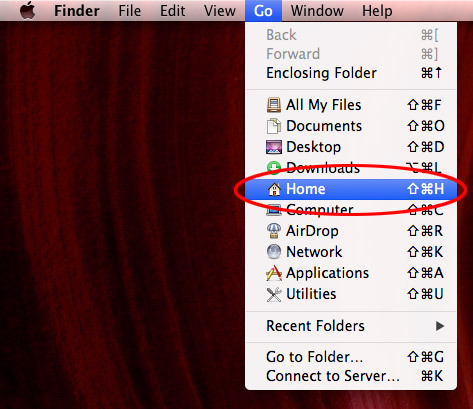 If you don't see Finder, close all of your programs! ), click Home. 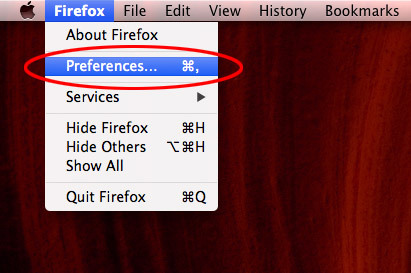 Doing this will bring up your Users folder. 3. Give your new folder a name. It can be anything you want! 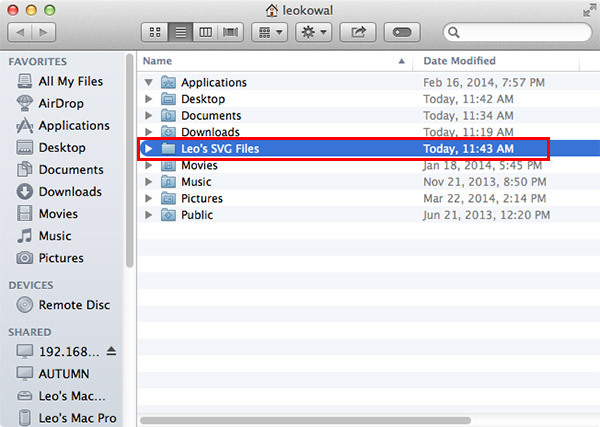 Just make it memorable so you know where to find your SVG files! 4. That's it! 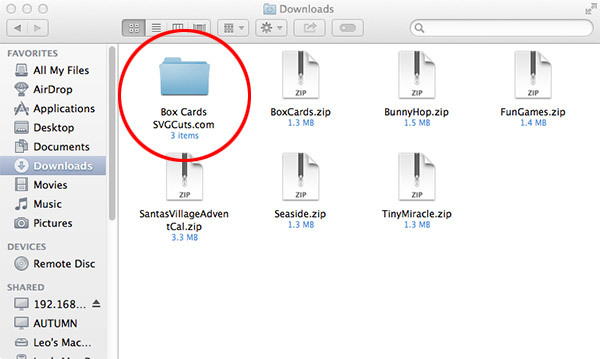 Now you have a dedicated folder for your SVG files! 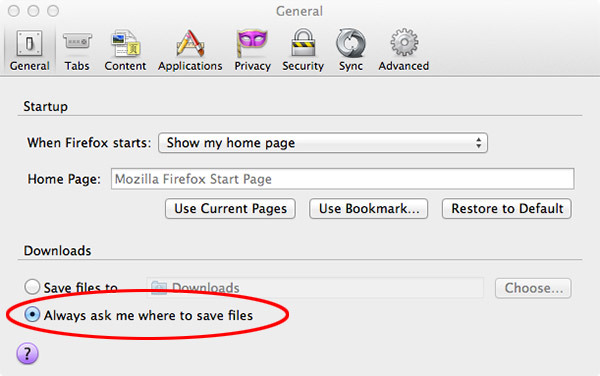 The next step in making your workflow more efficient is telling your browser to give you the option to specify where you want to save your files instead of putting EVERYTHING into your downloads folder. Safari does not give users the ability to specify where to download files with each download instance. You can continue using Safari and manually move the files from your Downloads folder into your SVG folder if you'd like, but we highly recommend Google Chrome to speed up your workflow! 1. 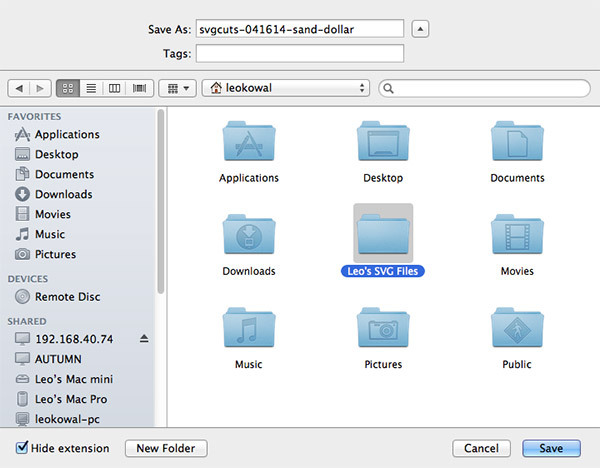 Unzipping a file in MacOSX is simple, just double-click on the ZIP file! 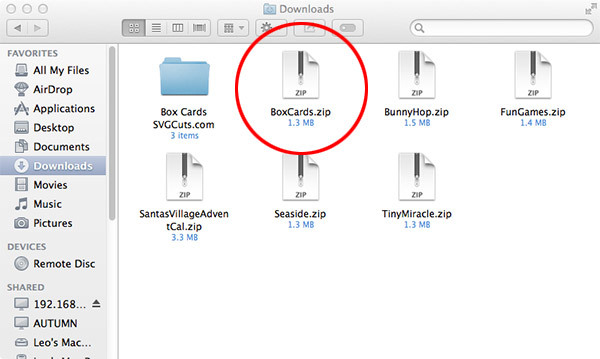 You know your file is unzipped when you have what looks like a folder with the full product name displayed below the icon. Leo! I appreciate your time and efforts to put this together! 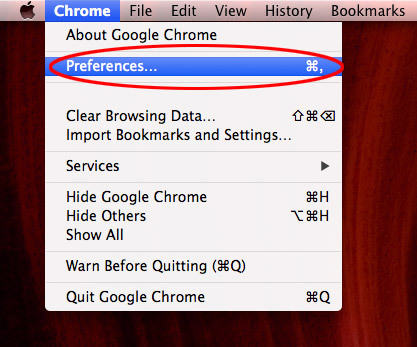 I’m still learning how to use my MAC more efficiently — newbie here, relatively speaking. Thank you so much for taking the time to explain how to do this. It is much appreciated! Nice job! Not many people seem to be able to communicate as well as you in the IT world :) Thanks for keeping it simple. And pictures, I like pictures! this information is valuable. You are great at putting instruction in such a way that makes them easy to follow. Great job and thank you.